Did you hear that fixing your registry would speed up your computer Don't Believe The Hype: Registry Cleaners Don't Make Windows Faster Don't Believe The Hype: Registry Cleaners Don't Make Windows Faster Much advice has been given on how to keep your computer running smoothly, as well as how to fix it when it has become slow. We have even published a Windows on Speed guide, written... Read More ? Or did you read somewhere that ‘fixing’ your registry will remedy any Windows malaise on your machine, that a quick registry clean-up will solve your computing problems for good? Many of these articles are not only wrong, but some can be downright harmful for your machine in the long run. Here we’ll explore how to identify, isolate and fix registry problems – and when to just not bother at all. Your Windows operating system constantly refers to the registry 3 Tools To Monitor & Examine The Windows Registry 3 Tools To Monitor & Examine The Windows Registry The Windows registry is one of the most poorly understood parts of the Windows operating system. We show you tools that can simplify the registry and help you identify issues. Read More . Opening a program, installing new software and altering your hardware all requires Windows to refer to the information contained in the registry. It’s no wonder that when things start to go wrong ‘experts’ decide to meddle with the registry without truly understanding the implications. What Causes a Registry Error? Orphaned Entries: Not an issue. Orphaned entries occur when you uninstall programs and small fragments of registry entries are left behind. Many registry fix software will proclaim these are an immediate issue, but in reality they amount to nothing more than a few kilobytes of data in your machine. Duplicate Keys: Not an issue. Duplicate keys are made when you reinstall, upgrade or update software on your machine, including the operating system. Registry fix software will advise that your software will be ‘confused’ by the duplicate entries, slowing your machine, but in reality this is unlikely. Fragmented Registry: Not an issue. Similar to duplicate keys, the registry fragments when software is uninstalled, upgraded or updated. System Shutdown Errors: Unlikely to cause issue. Each time your computer shuts down, a copy of the registry is saved to the system memory. If your computer is suddenly turned off, or crashes, or dies for another reasons, it could cause an issue in the future – but this is unlikely. Malware and Viruses: Massive issue. Malware and viruses of all types regularly attack and modify the registry and will require immediate attention. Registry cleaner software will commonly identify issues 1-4 as seriously important, device destroying issues, when realistically only issue 5 should cause you to take immediate action 10 Steps To Take When You Discover Malware On Your Computer 10 Steps To Take When You Discover Malware On Your Computer We would like to think that the Internet is a safe place to spend our time (cough), but we all know there are risks around every corner. Email, social media, malicious websites that have worked... Read More . We’re not going to lie. Sometimes it really is entirely necessary to fix registry issues. If you have ever encountered a particularly irksome piece of malware or virus, you will know the extreme lengths some of these infections go to disguising their activity on your machine. In the dialogue box, enter a useful name such as regbackup, select a useful location – My Document is the default – and click save. Click Start, type regedit in the search box, and press Enter. There are also numerous instances of open-source software that will perform this task for you, but in reality, performing a basic registry backup is a simple procedure that does not involve introducing anymore software to your machine. There may come an occasion where your registry backup is required. The methods for performing a registry backup vary according to the technical environment of the machine. Let’s look at a few different ways of restoring your registry backup following a number of different scenarios. The most basic restore can be used when your computer is healthy, or in a very basic state of disrepair. Boot Windows into Safe Mode. In Windows 7 this can be achieved by pressing F8 while you cold boot i.e. turning your device on, rather than restoring from ‘hibernation’ or ‘sleep.’ Under Windows 8, one way to boot into Safe Mode How To Boot Into Safe Mode In Windows 8 How To Boot Into Safe Mode In Windows 8 In Safe Mode, you can troubleshoot and fix Windows issues. When you enter Safe Mode, Windows loads a minimal environment that ensures a stable system. Read More is by holding the Shift key while clicking the power menu’s Restart option. This will trigger boot options, where you’ll find Safe Mode under > Troubleshoot > Advanced Options > Startup Settings. When restoring the registry it is always worthwhile utilising Safe Mode to protect vital files and drivers from any potential corruption. 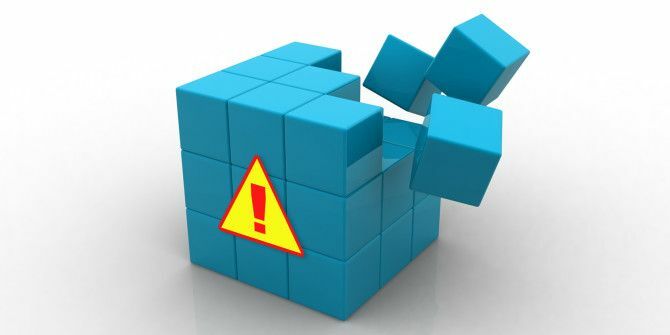 Barring any outrageous, unaccountable errors to your system, you should now be able to back up and restore the Windows registry. Another, slightly quicker method for registry restoration is to simply browse to the backup location, right-click the registry file and select merge. The .REG file will be automatically imported to your registry. You can manually restore the registry via the command prompt, if needs be. In some occasions Windows will not boot into Safe Mode – serious reasons – and it may be that a manual registry restoration is required. This process is more technical than the previous aspects of this article, so beginners/newbs, be somewhat warned. Some aspects of the fix must be enacted before the time comes – difficult to estimate just when an error might strike, but if you are reading this article, you’ll now be 2 steps ahead! For this process to work you’ll need your original Windows OS disk, or an ISO-image of your operating system How to Create a Windows 8 Recovery Disk How to Create a Windows 8 Recovery Disk The days of reinstalling Windows when it acts up are long since gone. All you need to fix Windows 8 is a recovery disk, either on CD/DVD, a USB or an external hard disk drive. Read More . You can use the Windows OS disk to force a troublesome computer to boot into repair mode if tapping F8 fails to do the job. If all else fails you can remove the hard-drive from the problematic system and slave it to another. We need access to the files, so the hard-drive location doesn’t necessarily make a difference and in fact, if the system is that problematic removing the hard-drive for external consideration can be a useful option. Make sure you have your Windows OS disk, or ISO image on USB. If it doesn’t automatically boot into system repair mode, you can repeatedly press F8 after powering your machine up to access the Safe Mode options screen. From here you’ll need to choose Repair My Computer. As mentioned above, booting into Safe Mode on Windows 8/8.1 works slightly different and you’ll be able to launch the Command Prompt from Advanced options under Troubleshoot without booting into Safe Mode. You may be required to log into your device, depending on your existing system settings and your ongoing computing issues. Make sure to log into an administrator account as the commands we will be running in a moment will fail otherwise. After each command press enter. The command prompt will inform you of the directory contents, so you’ll know when you have your Windows system folders. And yes, the two periods are part of the command! Following this, reboot your computer normally. You have manually restored your registry – +1 knowledge for you! Before using more advanced command features, Windows has a relatively good inbuilt system restore feature. It will automatically set restore points if you have turned it on, or if something else hasn’t turned it off. System Restore in Windows 8 How To Restore, Refresh, or Reset Your Windows 8 Installation How To Restore, Refresh, or Reset Your Windows 8 Installation In addition to the standard System Restore feature, Windows 8 has features for "refreshing" and "resetting" your PC. Think of these as ways of quickly re-installing Windows -- either keeping your personal files or deleting... Read More is slightly different. Press Windows + S and search for restore. Select the create a restore point result. This will open System Properties > System Protection where you can check whether protection is on, configure settings, and create a restore point right now. Malware and viruses can disable System Restore and delete restore points. Moreover, your own anti-virus may resist any attempts to copy or modify core Windows settings, negating the effects of System Restore. However, as shown above at each Critical Windows Update your system should automatically set a system restore point. Nonetheless, check that you have this feature turned on and by all means create a fresh restore point for your own peace of mind. In the event of a lost Windows OS disk there are still more boot options. Windows users locked out of their system can use a Linux Live CD or USB to complete a fantastic range of tasks without booting Windows, but in this case we’ll focus our attention on editing the Windows Registry from Ubuntu. It is a slightly more advanced solution but can be an absolute lifesaver, considering the range of tutorials and Ubuntu being completely free. Check out this list of System Rescue Disks. Some of these can be used outside of Windows, some require booting in and others require a mixture. They are nearly all amazing pieces of system saving wizardry. We said we’d tell you when not to bother searching, altering or fixing your registry. We didn’t lie: these categories are true of most problems. Sure, some guides for malware and virus removal will advise you to search and destroy single registry entries and in some cases, they would be right. But in many cases purported quick registry fixes to speed your computer are almost always snake oil solutions. Not every person who advises registry fixes is a charlatan, and those that really know what they are doing can actually eek a little more performance out of your device. Plus there are several nice little tweaks that can be made to alter the Windows appearance: removing the irritating shortcut symbol for one. But as we said, as soon as you dive into the registry make a backup, and back up that backup, too. Well, luckily for us Windows is full of fail-safes. Unless you really, really try and understand how to execute advanced commands, you cannot just CTRL+A, DELETE your entire registry. That would cause your system to implode, bringing the very fabric of the universe down with it. Seriously though, Windows doesn’t want you to delete all of it. The registry lookup begins very early in the boot process and as such the operating system makes a number of hidden backups – though not many – stored in root folders, required for launch. You may well be met with critical error messages as Windows searches the registry for core information, but, if System Restore has been turned on there should be a point to return to. We say should. It doesn’t always happen. The best bet is to not delete your entire Windows registry, srsly. And save them all to external drives for your own protection! Have you had a backup horror story? What course of action did you take to fix the errors? Let us know below! Explore more about: Windows 10, Windows 7, Windows 8, Windows 8.1, Windows Registry. Omg well I had a bad day with another tutorial, my question was how could I delete for sure a program and then install the free trial, buut well as i did it another copy my computer turned black and as I turned it on again it only showed the logo and then nothing... i cannot see nothing :C what or how can I fix this? what happened? Can u also post how to fix the registry on windows 10? I just want to let you know how greatful I am for this post! This literally saved my laptop from the constant BSOD, due an INACCESSIBLE BOOT DEVICE STOP Error. The command prompt registry restore saved my thesis and now my laptop is now booted up and running! You are a GODSEND! I have Windows 8.1 pro and I am trying to update to Windows 10 on my dell 2720 all in one 64 but I need a product key. My system tells me I have not yet activated Windows. I've tried entering my product code on my pic to no avail, and key key on office 2013 does not work either. Any thoughts? Hi! This is an error I'm having with my Windows 8 64-Bit. I was using it, and one day, all my apps stopped working and said "the extended attributed files have stopped working" or something like that. I searched up a tutorital how to fix it, and, it worked. For that seperate error. All my other apps have stopped working, and the new error is "class not registered." I tried searching for answers onlint, but they only have solutions to seperate apps, and none of them had ALL apps not working. The only one working are Skype and Google, all the others are null. Please help. I'm a part time light tech, I rarely play with the registry as its often not the problem, but lately my own computer has slowed , I looked at it with system intels autoruns and found a very high level of purple empty items , I have some reg backups but their too old . I used wise reg cleaner but it hasn't helped . As its just this should I leave it alone and look at other issues or try to resolve all these empty items ? If you do want to clean the registry, back it up using CCleaner. I would think your second course of action was better: look at anything else affecting your system. Run full malware scans and what not, monitor your system resources and look for anything suspicious. Thanks for your response, a did more checking , with a clean machine I set up . Apparently its normal to have empty items the default in process explorer is to not to show them , which proved what you said in the first place , repair only important registry errors . CClean is great especially for finding left overs of the old security tools you have uninstalled . Anyway thanks again. No problem, Bob, glad you got sorted out in the end. As ever, thank you for reading! Excellent news, Roberto, glad we have helped out! "Each time your computer shuts down, a copy of the registry is saved to the system memory." Which is promptly erased when the computer powers off; perhaps you meant *saved to disk*??? Good article. I totally agree with Fik of borg that ERUNT works great - be advised that its WindowsERDNT default registry backup folder can take up a tremendous amount of room over time but is very easy to manually delete the backups (it saves each one into a separate folder by date). Also ERUNT comes with a registry compactor called NTREGOPT that I've never seen cause an issue and seems to work very well (my systems are noticeably zippier after running). I've used both ERUNT/NTREGOPT since 2004 without a single problem. Also I use CCleaners registry cleaner every time I remove a program (I test a lot of software), about 30 times a year, and - unlike many other registry cleaners - have never had a single issue either (it backs up only the changes, which it can restore, and not the whole registry), so I highly recommend everyone contribute a few bucks for their up-keep. But backup, backup, backup is the first rule of computing and, if you don't, then don't whine when you lose everything (which will happen eventually, guaranteed). In a nutshell, this is more a "backup often" than a "how to fix" article. In that light, I use ERUNT (Emergency Recovery Utility NT) in a daily scheduled task in every computer I manage. I have it to keep a week of backups on external drives or network shares, so if/when I notice something wrong it's more likely that I have a healthy one. The restore process is command-line, and a copy of the restore program is saved with each backup, so one can restore even in the most basic of safe modes. "4. System Shutdown Errors: Unlikely to cause issue. Each time your computer shuts down, a copy of the registry is saved to the system memory"
Won't the system memory would be turned off at system shutdown? Do you mean saved to hard disk? Yes, sorry about that! ERUNT is a great tool. "bringing the very fabric of the universe down with it." - Ha! Love it! Sometimes it takes hyperbole to get people to listen. Great article. Technical enough for an enthusiast but clear enough for a relative newbie. Well done. So, I understand that there are very few times messing with the registry is truly necessary. I wonde, then,r why CCleaner, et. al. offer registry cleaning and defragmenting as an integral part of their software. Thoughts?